In 2008, Amber Valentino received a doctoral degree in clinical psychology from Xavier University in Cincinnati, OH. She completed a predoctoral internship and postdoctoral fellowship at the Marcus Autism Center/Children’s Healthcare of Atlanta in Atlanta, GA. After completion of her postdoctoral training, she remained at the Marcus Autism Center, serving as program coordinator of a community autism parent training program and as a senior psychologist in a language and learning clinic. In 2012, she transitioned to Trumpet Behavioral Health where she has held various leadership positions. She currently serves as the Chief Clinical Officer for Trumpet Behavior Health. In this role, she oversees clinical services, all research and training initiatives and builds clinical standards for the organization. Dr. Valentino’s clinical and research interests include the assessment and treatment of verbal behavior, primarily in children with autism. She is also interested in evaluation of programming to address unique adaptive skill deficits, and in developing standards for effective supervision in the field. Dr. Valentino currently serves as an Associate Editor for Behavior Analysis in Practice and previously served as an Associate Editor for The Analysis of Verbal Behavior. She serves as a frequent guest reviewer for several behavior analytic journals. 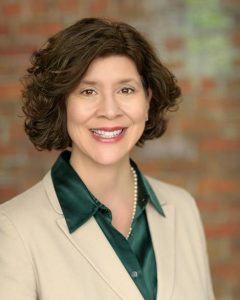 Dr. LeBlanc, a licensed clinical psychologist and Fellow of the Association for Behavior Analysis International, served as Trumpet’s Executive Director of Research and Clinical Services from 2012-2016. During that time she was integral in building a comprehensive set of clinical standards, developing the company’s research function and recruiting and mentoring innumerable clinical leaders. As she transitions to Executive Advisor, Dr. LeBlanc will focus her efforts on strategic company initiatives and the continued mentorship of clinical leaders. 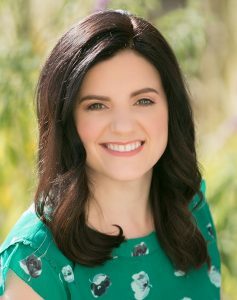 Dr. LeBlanc has published over 90 articles and book chapters, is an Associate Editor for Behavior Analysis in Practice and the Literature Review Editor for Education and Treatment of Children and serves on the Board of Directors of the California Association for Behavior Analysts.